A bit about him – He is an Entrepreneur and a CEO with hands-on technology and management experience, a proven record of building brands and products and a history of creating sustainable companies. He comes with over a decade of diverse experience across entrepreneurial & corporate spheres – in Internet, Mobile, Telecom, Education & Legal domains. He helps global companies build strategies and enter new markets, build innovative products, and set up and scale software centers / R&D centers / offshore development centers globally. 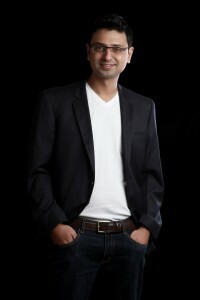 In his previously stints, he was the CEO of Castle Rock Research Corp in India, a Canadian education technology MNC, and CEO & Co-founder of JobeeHive.com, India’s leading employer review website. Vishwas received the ‘Star Entrepreneur Award’ from Indira India Innovation Summit 2011 in recognition of his contribution to entrepreneurship and innovation. He is one of the top corporate and motivational speakers in India, having spoken at numerous colleges, corporate events, tech fests, conventions, including the popular TEDx talks. Deccan Chronicle named him in the Top 11 personalities of 2014 in Bangalore, the silicon valley of India. To know more visit his blog. Writing is his passion, and he has embraced storytelling as his parallel career. Losing My Religion is his debut novel, which is a No.1 national best-seller and was voted as the No.1 book of 2014 by readers. He is now one of the top authors in India, having redefined storytelling with his fresh and addictive writing approach. Follow him on his Facebook fanpage here. 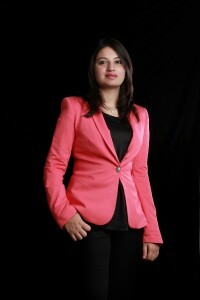 She is the pillar of GoodWorkLabs and can move heaven and earth to ensure the company delivers on its goals and vision. A bit about her – Planning new products, identifying roadmaps, working with customers, building kickass teams and creating winning partnerships is her passion. She loves working with startups and after nearly a decade of startup experience in various domains, she decided to start GoodWorkLabs – a new-age boutique software lab that delivers cutting-edge products and solutions for customers globally.